Stuart Welsh has been a tutor at dBs Music since 2002 and is now the course leader for the Music Production & Sound Engineering Degree. He is an expert instructor in Pro Tools, has a Masters Degree in Computer Music as well as playing guitar and building his own pedals and studio gear. Stu first setup his own commercial studio in 1998 with funding from the Prince’s Youth Trust and it ran until 2007. In 2011 he built Beliefspace Studio, which is set to become Agent Audio in 2018, another commercial recording studio based around a Pro Tools HD rig and an Ampex MM1200 tape machine. Having built these studios himself, Stu has also done studio build and consultancy work for other studios. In 2007 he setup Fiercely Independent Records which he has released a few acts on, most recently NYC based Thee Koukouvaya's album 'Ancient Race of Techno-Voyagers' 2016 and, local artist Paul Armer's 'Far From Town' (2016) which he also recorded. He will also be releasing dBs Music student band Tort's 'Ruminate' (2017). Along with his studio and record label he also runs Live in Session Ltd. as a joint venture with local media (Plymouth Herald) which is a live streaming music show set-up to promote the wealth of talent of original artists in the local music scene. Each week the show streams a new artists to social media platforms, this allows fans to view and interact with local music. The show has picked up a lot of traction with each show receiving between 7,500 to 14,000 views depending on the artist, There are plans in place to start recording the show at Momentum studios in Plympton as it is a bigger venue with the hopes of expanding to full band setups and not just acoustics acts. 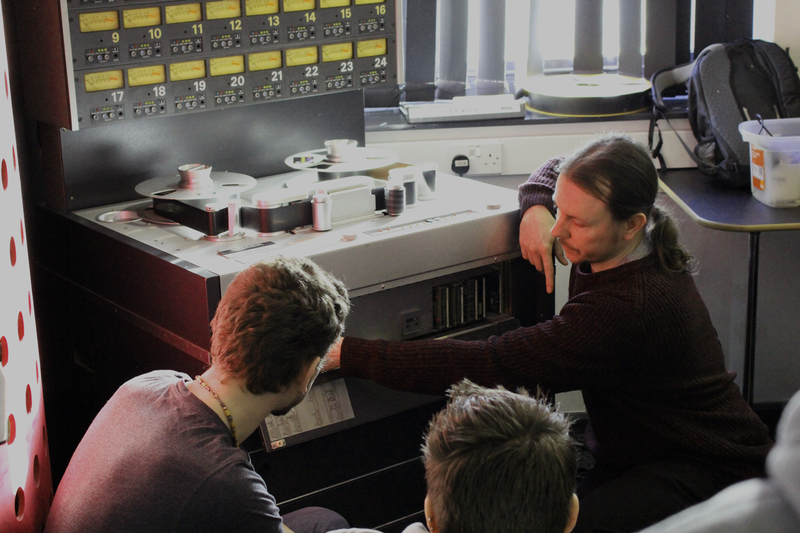 Discover dBs Music's Sound Engineering and Music Production degree and our Plymouth centre and find out more about how our tutors and facilities at dBs Music can help you get qualified for the music industry.